TL:DR: In the past, going digital often meant that an organisation had to build its own expensive servers and data centres from scratch. With cloud computing, governments and enterprises can bypass the hardware procurement phase to rapidly develop digital solutions. Experts from Google and Microsoft shared more on the potential of the cloud at the STACK 2018 Developer Conference organised by GovTech. Clouds on the horizon signal an oncoming storm, and entire landscapes can be transformed in the wake of a squall. In the digital realm, cloud computing has had a similar effect, completely disrupting the way governments and enterprises operate. This has indeed become the norm, with companies like Google and Microsoft offering their computing resources as a platform for other enterprises to run their operations online. At the inaugural STACK 2018 Developer Conference organised by the Government Technology Agency of Singapore (GovTech), experts from the two tech giants shared how organisations can ride the wave of cloud-mediated disruption and emerge stronger than before. “Disruption occurs when something radically changes,” said Mr Gregor Hohpe, technical director, office of the CTO, Google Cloud, during his keynote address. But it is the response to change that determines the survival of the disrupted. What’s really needed is a fundamental shift in the organisation’s mindset and processes, and this can be very difficult to achieve, especially in the context of IT systems. For instance, by keeping the old version of an operating system, organisations open themselves to cybersecurity risks which could cripple their operations. Hence, there is an exorbitant price to pay for maintaining the status quo, said Mr Hohpe. There are two ways to do this, according to Mr Hohpe. The first is to reduce the lead time for getting things done. “If you can start [innovating] right away instead of having to build stuff up from scratch, you’ve got a head start,” he said. The second strategy would be to simply get things done more quickly. 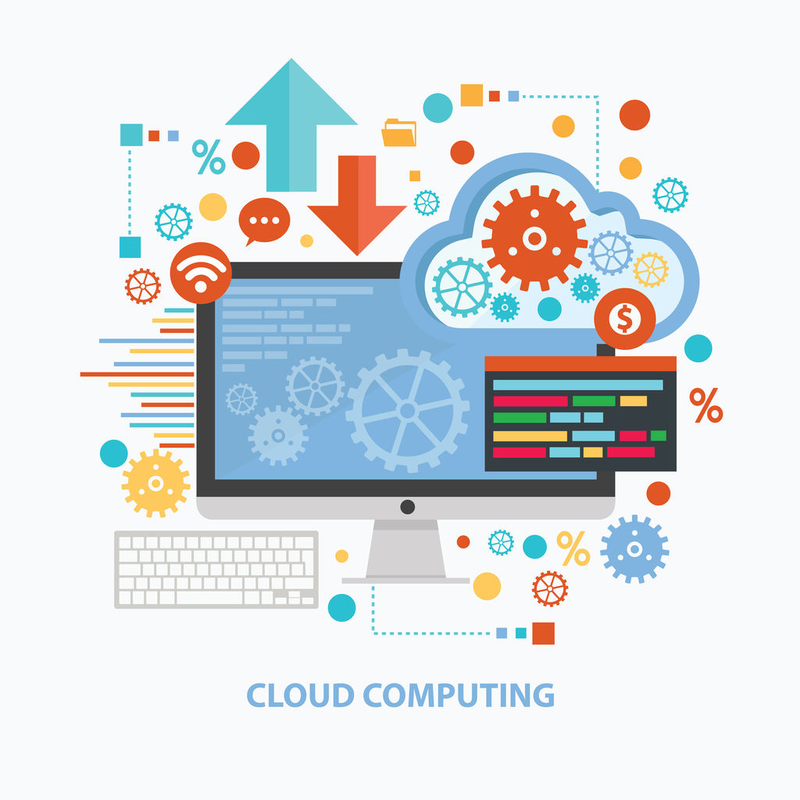 In both aspects, cloud computing is a powerful enabler. Mr Hohpe echoed this point, advising the audience to “move fast, frequently deploy your software and get feedback from users.” Then rinse and repeat. Another critical benefit of building applications on cloud-based infrastructure is the flexibility of scaling and pricing. In the past, developers would have had to budget in (at the outset) all the capabilities that would go into a software or operating system. Development costs could therefore add up to a daunting amount of money. Now, with the dynamic pricing framework of the cloud, developers can create, test and implement individual software features at a low cost, then pay more to scale up only useful features. More importantly, Mr Murawski emphasised that cloud computing allows organisations to directly measure the cost of running a particular online service, which can then be associated with the value that it delivers to clients or citizens. “That lets [organisations] make better decisions about where they invest their time, effort and compute resources,” he said. By granting governments and enterprises the ability to partition their resources more nimbly and track their return on investment, the entire process of developing software or applications becomes more efficient. But at the end of the day, Mr Murawski reminded the audience that cloud computing is merely a platform that offers greater convenience and useful tools for developers to flesh out ideas rapidly, and in a cost-effective manner. Those ideas—and the pain points they address—need to come from within the organisation. “You are going to have to identify the processes that need to change, and the things that will help you benefit from these platforms. I can’t tell you what’s going to work optimally. You’ll have to decide for yourselves how to leverage [cloud computing] to deliver the best solutions to your consumers, citizens and stakeholders,” he concluded.